Often the term Wild Horse brings up many different thoughts, both romantic or emotional and an odd pretense toward training them – and how it is, supposedly, much different than dealing with a domestic – so “they” say. Reality walks in and says, “Na – patience, perseverance, and being-consistent, and allowing the horse, whether wild or domestic, to be a horse, first and foremost, still remains the answer to all of this. Slight adjustments arranged, or small modifications perhaps, but nothing to speak of when a knowledgeable individual bond with the horse, wild or not. Let’s keep this in mind, that indeed, understanding the horse will always be a horse, and nothing else but a horse. Now let’s go to the range or wilderness areas, where horses, when left alone, do act like horses and within their family bands. A Quick-Forward here, and while out on the range/wilderness area, we find the introduction of a situation referred to as Pesticide (EPA Registration-by Qualified Science) PZP, or darting for birth-control of a population of wild horses that is not over-populated at all. Obscure, to say the least, entirely profound say others that acknowledge it is unneeded, as well as quite costly to taxpayer’s – yes, another corrupt organization that finds $ millions in grants to “dart” our wild horses – then there exists a “Reality” that very soon cannot be ignored. We see quite often now, and coincidentally (and we know about coincidence) around the same time Pesticide PZP started to be used around 1994/95 then stopped in 1996 due to BLM admitting irrational inconsistencies, of the PZP, as well as just not working well; and, accountable and credible references as well as testimony, there was an increase in wild horse bone-piles found, most of which were Mare and foal bones, as well as aged wild horses, and crippled wild horses (bones showing us broken legs or broken jaw bones, or bullets to the head, or gut shot with ribs broken from being gut shot) — and spread across the range or in the wilderness areas. From the knowledgeable conservationist and observer, confirmed and were obvious Mares that died before or during the foaling process complete. . .
Fast Forward: Currently we find many isolated situations where bones of foals, as well as Mare’s and foals together, and yearlings as well, bleached white by the sun. Very sad, at times, coming across these bone piles. But still self-evident as too circumstance, always. The problems were unknown at that time. The more we currently find within the darting areas of Pesticide PZP, and the consistencies, we find quite a few troubling situations, and the disruption of the Family Bands the entire causation. The causation’s quite clear – interference of an unknown altered product, pig ovaries, genetically altered into a Pesticide – the time-frame far more than just a coincidence, and shows us all clearly, something unexpected is ongoing right now on our Public and Federal Lands from its use. . . or is it unexpected? It is just not a question of Mares much too young to foal (i.e. due to Pesticide PZP use also disturbing the Mare’s breeding cycles, breeding much younger than normal), or tend to its new born, or any of the other controversial situations, but the mental state of the Mare itself. 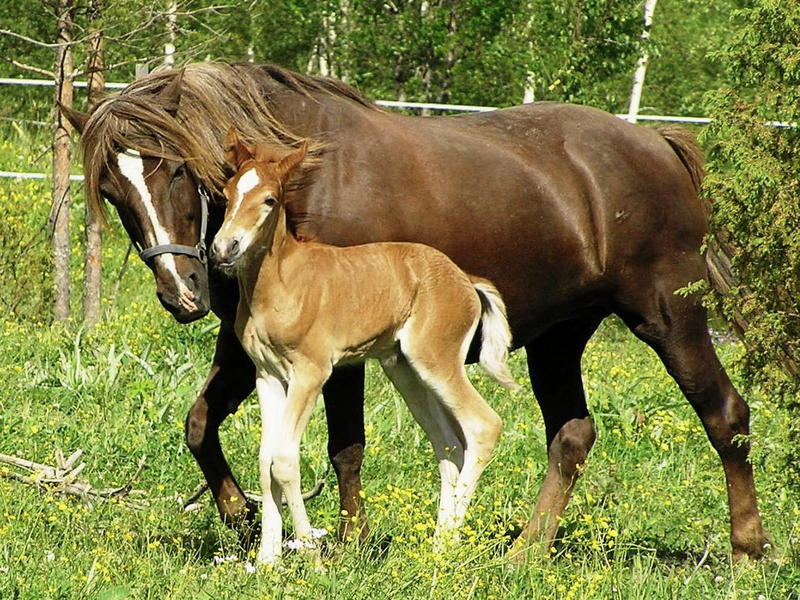 “Foal Rejection”, is a very serious problem, even within domestic horse circumstances, and even when everything is just right in the stable or even in the Vets Stable. Here in this discussion, we are calling attention to a Range Lands situation, no sterile environment, no human interaction (i.e. beyond the usual 30 minutes), and no antibodies or colostrum (first milk) available, other than the Mare itself; although, myself and others have seen other Mares in the Band provide this (keep in mind that 42% to 50% of foals (previously, but today we see an increase from heavily-observed probability) situations on the range – foal’s die at birth, and which, BLM does not consider this in their wild horse counts what so ever – as a matter of obvious fact, they do not include the Mare’s death either), nor when a confused and stressed very young Mare runs off and leaves its foal, which is an assured death (i.e. septicemia or death are the alternatives when Mare rejects the foal, among other situations). There exist two significant occasions that have to transpire, on the range as well, for a foal to live; although, we have seen helicopter roundups, also, intercede, and actually run the Mare away from their foal awaiting the next step of birth, for example the colostrum intake, for life. Did the pilot know of these situations, or not? They state they know horses, we state if they do, then indeed they are very mentally-sick and deranged people to allow a foal to die, in such an obvious situation – if the knowledge available to them. Cruelty is their motivation, it seems. Why do taxpayer’s pay these types of people to manage Our nation’s wild horses? There also must be a specific identification as the Mare’s own, toward foal, with no distractions. We can now advance to when a “Foal Rejection” takes place, and the obvious occurrences. The Mare literally attacks the foal – quite a dangerous situation which ends, most often, in the foal’s death – but we must also consider these types of – once too Young to foal Mare’s cannot foal again, otherwise the same situation exists – assured death of foal, and yet another situation uncounted or not considered within the BLM’s horse count criteria, but from bone piles we have found, many occurrences do exist of such . . . Which brings us to a “Natural Occurrence” of birth moderation within a “Natural Environmental Setting” and healthy Ecological System – moderation and circumstances leading up to this moderation the key-element here, and sound Ecological Health present . 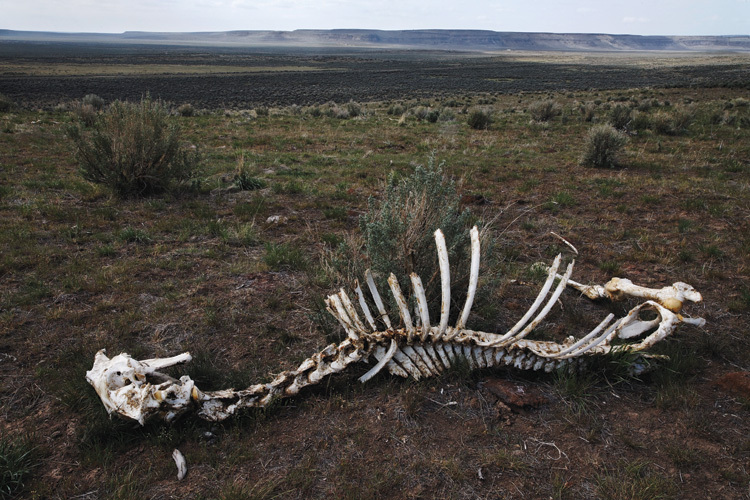 . . BLM Biologists simply have no idea this situation even exists, as their single system priority of cattle management shows us. And yet the other consequence, the fact that they distract with one set of explanation, as they state, “. . . saving the wild horses by darting them,” although the statistics, raw numbers, do not show this what so ever – So are we to conclude that in “Reality” horse advocates are taking advantage of $$$$ obtaining an income, and ultimately kill wild horses, under yet another falsified circumstance of saving them? Is this their true objective? And the next question, do these horse advocates know, or are they simply of low-IQ, and simply do not know they have been manipulated = ignorance. There are many more questions, perhaps answered, perhaps not, but many more questions exist, for sure. Many of us say, clearly and without bias, the actions and reactions of this genetically altered situation speaks much louder than someone’s unscientific, or even special-interest motivated $$$$ scientific explanations (mostly a brochure type style of sales, cloaked with make-believe scientific references that when perused are invalid at best). It does not take a biology degree to see this in the field, what so ever; but, after seeing so much of these occasions on the range, we can question these supposed people with science degrees or range management degrees and what, exactly, is their motivations = $$$$. . . Obviously, severe conflict of interests exists, or within many cases, simply dominate the entire situation. There is no way to resolve this situation of a “Mares Rejection” of their foal’s. What we have found in the field is an increase of foal-death, not less, and the usual 42% to 50% death rate has, we believe, increased to approximately 62% to 70% — which the BLM would not admit, as there exists already more than enough controversy within their wild horse counts right now. This corrupt government agency continues to lie, create misinformation in the form of socioeconomic s’, and actually is destroying our Public Lands as well as much of our wildlife – the BLM is a government agency that needs to be shut-down, and all contractors, those who also receive subsidies, or independent Grant seekers, need to be shut-off from taxpayer money until the problems, i.e. corruption, on our Public Lands can be resolved. An excellent article, John, and shows another way PZP is helping BLM wipe out our wild horses. Also PZP destroys natural selection that is needed for healthy wild horses. You are correct, John. PZP is legally listed as a pesticide. By definition, a pesticide is a product designed to DESTROY organisms deemed to be undesirable or noxious. Chemical or biological substance designed to KILL or retard the growth of “pests” that damage or interfere with the growth or crops, shrubs, trees, timber and other vegetation DESIRED BY HUMANS. Practically all chemical pesticides, however, are poisons and pose long-term danger to the environment and humans through their persistence in nature and body tissue. Most of the pesticides are non-specific, and may kill life forms that are harmless or useful. PZP is NOT a vaccine … it is a PESTICIDE. Thanks for bringing out the very negative effects PZP is having on the wild horses, These affect their vigor and jeopardize both their short- and long-term survivability. Also you need to recognize how PZP undermines the immune systems of further generations thus assuring “management for extinction”. What a sell out of the true core intent of the Wild Free-Roaming Horses and Burros Act!